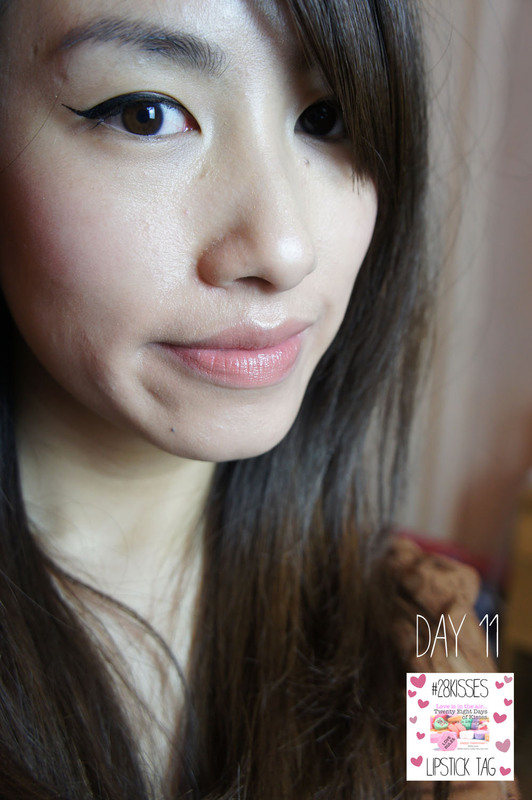 Yep you’ve guessed it, another lipstick tag! I’m sorrrryyy! I missed a day yesterday so I’m playing catch up! I promise I’ll yap on about something else other than lipstick soon! I have a few things I’m dying to feature, like my new Enrapture Totem styler I got (Total hair heaven may I add). Anyway, lets not waffle and go straight to the lipstick! 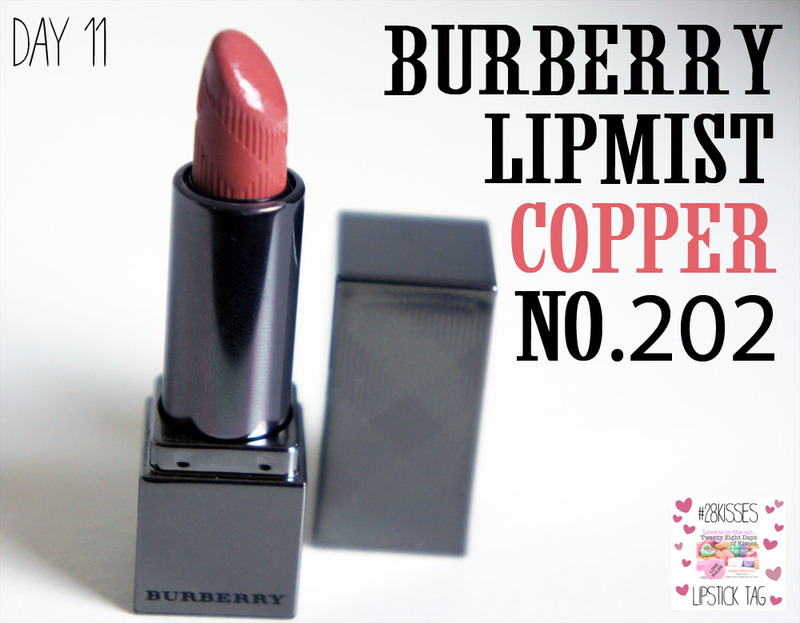 This one is by Burberry and its called Lip Mist in Copper, No. 202. I actually only have a small sample of it as I got it from the Harrods Edition Glossy Box last year. I love the cute, little size and the gorgeous packaging of this lipstick. It’s presented in a very, sophisticated and chic casing and the pattern embossed on the actual lipstick is a great finishing touch! The colour and finish is beautiful. It’s a very sheer texture and feels really hydrating – almost like a gloss without the stickiness! The colour is super natural and makes my lips look really soft! It’s definitely becoming on of my favored Day time Lipsticks! Anyhow, thanks for stopping by guys! 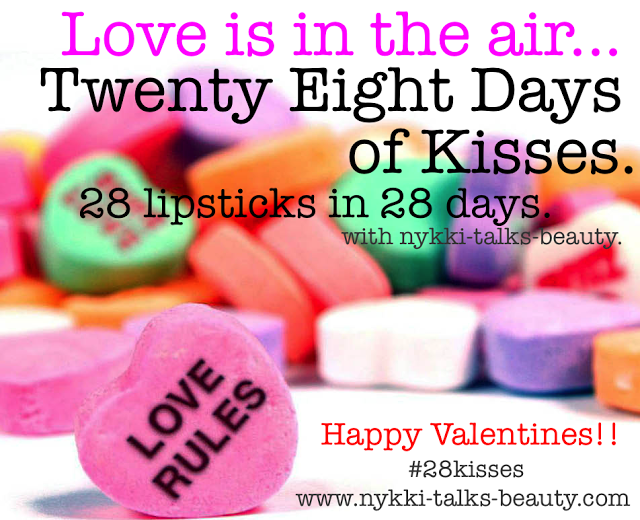 Don’t forget to check out these Lipstick Tags Today too! 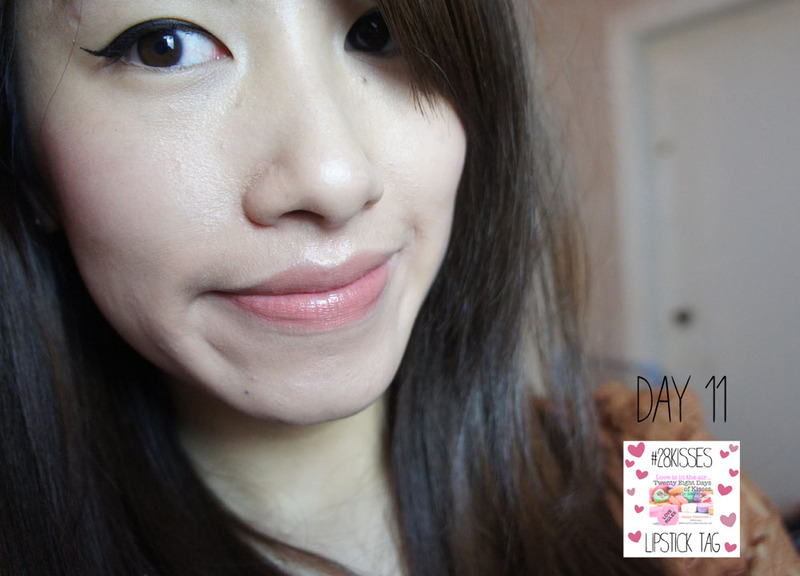 Tags: #28KISSES, Burberry, Lip Mist copper no. 202. Bookmark the permalink. Thank you! no problem, I love finding bloggers from over this side of the woods! We seem like a rare breed lol!